The FIVE Judge Constitution Bench of Supreme Court of India has remarked on the exclusive right of entry, presently practised in Sabarimala Ayyappa temple in Kerala. The right of entry to women aged between 10 and 50 is denied on the ground that the women in the age group are considered ‘impure’ that pollutes the sanctity of Lord Ayyappa, the presiding deity. The excluded women are considered to be in their menstruating phase, a biological phenomenon for which the right of entry into the temple cannot be denied. The judgement is yet to be delivered in the case, petitioned by the Indian Young Lawyers’ Association with prayer to the apex judiciary and not to Lord Ayyappa to dispense the right of entry without any gender bias. The case was impleaded by five more along with the petitioner, challenging the ban in vogue for several years and seeking removal of restriction to the entry. The pronouncements made by the judges during the course of hearing the arguments shed encouraging light at the end of the tunnel. Faith and follow up of the tradition cannot be a stumbling block for equality to any religious devotee, irrespective of gender. The faith and mythical belief on the birth of the presiding deity, Lord Ayyappa at the Sabarimala temple is unnatural and against the scientific facts, and the prevailing reality. Lord Ayyappa is said to be the offspring of the two male divine forces viz. Shiva and Vishnu. How can it happen? The birth itself is questionable. It is the belief of the devotees that Ayyappa a bachelor continues to be in the meditation of Naistik Bramacharya. The belief and the practice say the women who attained puberty cannot be allowed entry into the temple as devotees. The denial of entry to women is said to commence from puberty till the attainment of menopause by the women devotee. The in-between period approximately ranging 10-50 years of age is considered as the basis of discrimination of women. If entry of ‘polluting’ women is allowed, the divine brahmacharya status of the Lord will be lost. The entire worshipping place would be polluted and become impure. Besides the 41 day penance undertaken by the male devotee would be disturbed if the women in menstruation phase are allowed into the temple. Are the women devotees strong or the presiding deity weak? If arguments are put forth like this, the answer is ‘Faith is always Faith and it cannot be questioned!’ Travancore Temple Devaswom Board has been resisting the reform. Even the democratically elected State Government under whose administration the Devaswom Board functions is unable to dispense the equality of right to entry into the temple without gender discrimination. After witnessing the interventions on the petitioned litigation at various levels of lower judiciary, the case is lying with the Constitution Bench of the Supreme Court at present. The Constitution bench is headed by the Chief Justice of India, Deepak Misra and four more judges Rohinton Nariman, A.M.Kanwilkar, D.Y.Chandrachud and Ms. Indu Malhotra. While hearing the case, the judges in the constitutional bench have made responsive statements to the arguments put forth from the side of Travancore Temple Devaswom Board. The Chief Justice of India while reacting to the arguments of the counsel appearing for the Travancore Devaswom Board said, “the Board is actually doing something indirectly what it cannot do directly. Imposition of something which is impossible to be done is an indirect way of debarring women in the age group of 10 to 50 as they cannot observe penance continuously for 41 days in view of the menstrual cycle”. “On what basis, you (temple authorities) deny the entry?… Once you open it for public, anybody can go. If there is a temple, then it is a public place and everyone is allowed to go there. If men can go there, women can also go…. When women’s group attempted to enter the temple disregarding the restrictions, the temple authorities made age proof mandatory for women to enter temple. The very emphasis of temple authorities stressed on their stand and said that the removal of restriction would affect the sanctity in the temple environment besides health hazards the women of menstruation phase would cause. 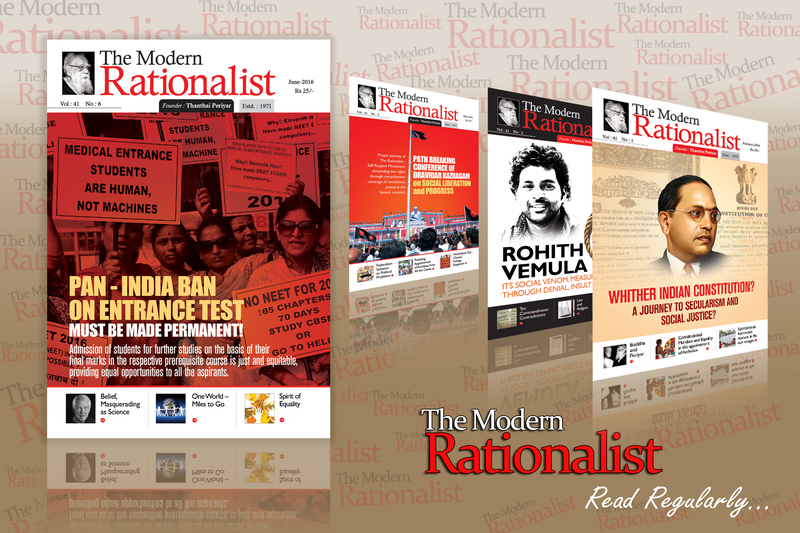 This argument was opposed strongly by the senior advocate, Indira Jaising appearing for the intervener – petitioner viz. ‘Right to Bleed’, in the case. Ms. Jaising submitted that Rule 3(b) of the Kerala Hindu Places of Public Worship (Authorisation of Entry) Rules, 1965 allows a ‘religious denomination’ to ban entry of woman between the age of 10 to 50 and it is a violation of the right to equality and gender justice. It was pointed out by the senior counsel appearing for one of the intervenors that the practice of denial of entry of certain age groups is violative of various fundamental rights including Article 17 which deals with untouchability. Questioning the contention, those women are not allowed as Lord Ayyappa is a ‘Naisthik Brahmachari’ a celibate and presence of women will affect the Lord’s penance, the senior counsel said how could women be made victim if celibacy is to be disturbed. Justice Rohinton Nariman said the classification barring women of 10-50 age group seemed unconstitutional ‘on the face of it’ as a person could be in a stage of menstruation below 10 years or above 50 too. “On that ground itself it would be violative as it leaves out other persons who are similarly situated but can be allowed entry into the temple”, the judge said. Justice Nariman pointed out that the right of entry to a temple and worship has many facets. One can say that a person can go inside a temple only upto a point and not go near the deity where priests or pujaris enter. But there cannot be any restriction on entry to the temple itself. The Bench brushed aside Pandalam royal family’s counsel K.Radhakrishnan’s attempt to dissuade the court from going into the legality of the religious customs, which were born out of the devotion and faith of followers of a religious denomination. The litigation is continuing either through delivery of judgment by the lower courts denying the entry of women or petitioning afresh the issue in favour of women entry. During the course of such continuance of the litigation, the ruling party coalition got changed in the State of Kerala. Accordingly the stand of the government on the entry of women into the temple also got changed. At latest the Kerala government counsel said it would go by its first affidavit and support the cause of women, the Bench remarked, “You are changing with the changing times”. Yes, the elected government has to change its stand as per the welfare in favour of the elected people besides in ensuring the equity involved in the issue. The very same government in Kerala has already brought a progressive measure of appointing archakas hailing from all castes but duly trained for performing poojas. The performance of pooja at sanctum sanctorum of temples was under the brahminical hegemony. The discriminatory hegemony has been brought to a grinding halt. Times are changing. People cannot be treated in public places with discrimination. Discrimination cannot be sustained forever. Elimination of religious discrimination and denial of entry with gender bias has to be put at rest. The positive remarks, passed by the judges of the constitutional bench of the Supreme Court during the course of hearing the arguments have to be crystallized while delivering judgement, enabling the entry of women of all age groups. Let a new chapter dawn at Sabarimala Ayyappa Temple, Kerala. 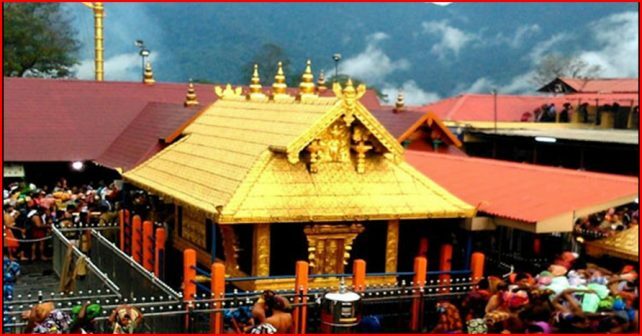 Sakti who is known by many names is known as Bhuvaneswari at Chengannur temple. A story says that Siva got married to Parvati at Mount Kailash when all the gods and demons thronged there. When the northern side of the earth started sinking. Siva called Sage Agastya and bade him to go south to balance the Earth. When Agastya was worried that he would not be able to witness the wedding ceremony, Siva realised his feelings and promised to visit him with Parvati soon afterwards. Agasthya went south and started penance at a place called Sahyatri. Siva and Parvati went there and gave him darshan as promised. That day Parvati happened to be in her periods. Parvati took bath after the periods were over and the couple stayed there for 28 days. Even now there is a panchaloha idol of Sakti which is supposed to have periods every month. “Formerly it was regular, every month, but now the deity gets it only three or four times a year, said the head priest of the temple. Every morning, when the doors of the temple were opened, the head priest and his assistant would remove the clothes the deity was bedecked with the previous day. The head priest would give them to the assistance even without looking at the clothes. If any bloodstain was visible in the petticoat, the assistant would send it to the temple Tantri’s house, where the Tantri’s wife would closely examine the attire, and if the bloodstain was confirmed she would proclaim the deity to be in periods. The inner garment would soon be auctioned and the devotees would purchase it paying in hundreds. Some devotees would pay a heavy advance and reserve the petticoat for their use. It is believed that luminaries like V.V.Giri and C.P.Ramasami Ayyar have purchased the garment.